Higher education has long been both a passion and specialty for Kiosk. 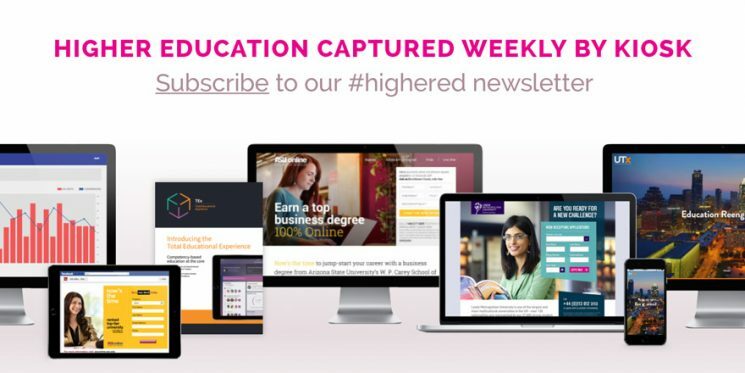 We’re excited to share a weekly overview of the higher ed space, with our new, weekly education email newsletter. Subscribe and you’ll receive a curated collection of articles that represent current thinking and activity in the world of education, both in the US and in Europe, at the start of every week. Kiosk works with a diverse range of institutions on strategy, research, enrollment analytics and more. We understand the challenges that educators have in keeping up with an ever-changing high ed red landscape. This newsletter is one way we can keep you up to date on issues that matter to us all. The latest issue features key takeaways from SWSWedu, Ben Carson’s possible role in a Trump administration, why the UK should be looking to Californian education models and more. Visit our education page to sign up today.